Denim. So simple, stylish, and versatile — a true year-round staple. 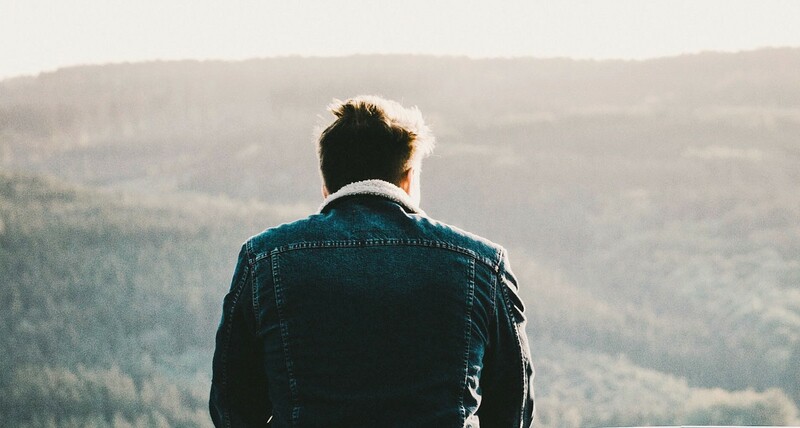 The perfect jean jacket is a second skin, a regular go-to, unmatched in comfort and style. Since the ’80s, the style’s taken many forms, from cropped to baggy, distressed to vest, and of course, the classic collared loose fit. But finding a denim jacket that fits you just right— while staying on-trend — is a delicate art. Luckily, you’ve got us to help you. We’re nothing if not helpful. From Paul Newman in Hud to Tom Cruise in The Outsiders, the trucker jacket is classically rebellious. 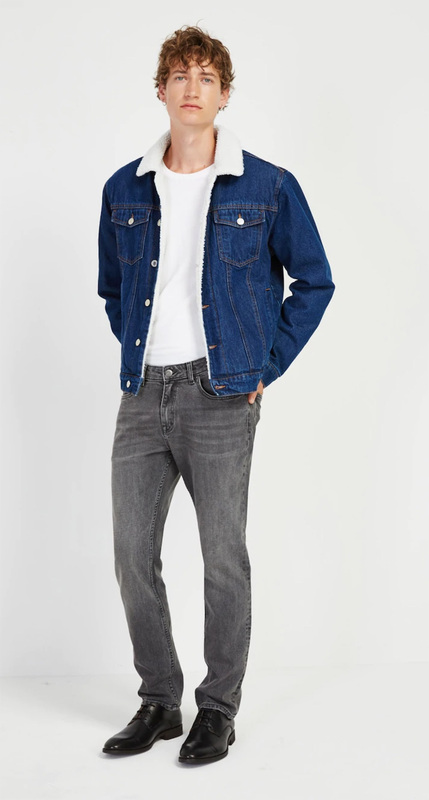 With a loose, comfortable fit that accents the shoulders, this med Indigo trucker jacket from Frank And Oak is the perfect iteration of the look, suited for every outfit and occasion. Made out of non-stretch organic cotton, it’s tough and long-lasting, just like your love for it. Who said jean jackets are just for cowboys? Channel your inner rockstar with Saint Laurent’s black coated denim jacket. 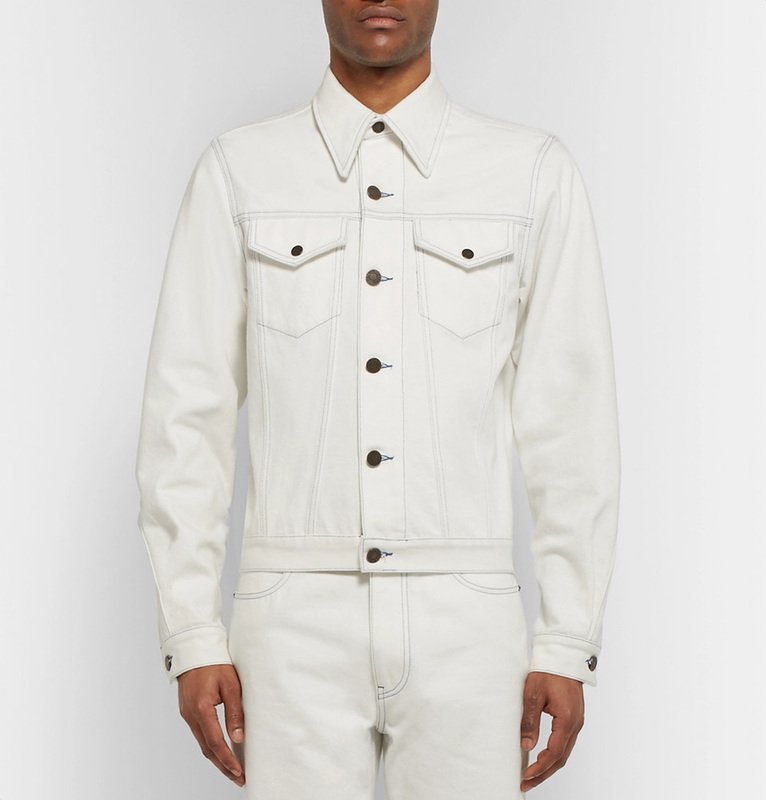 The coating makes it look like leather while providing the durability, breathability, and comfort of denim. 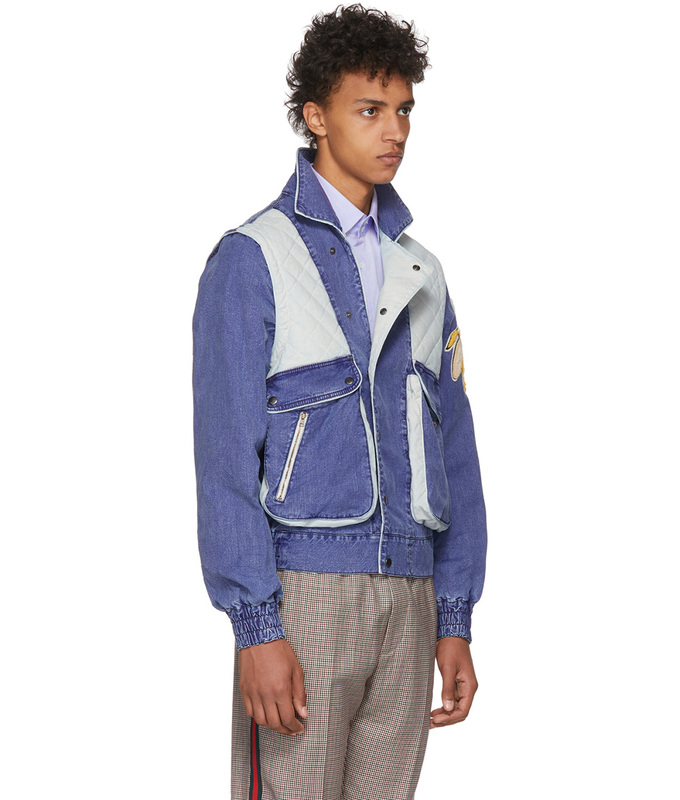 Look (and feel) unbelievably cool in Gucci’s blue quilted denim jacket. With its light indigo wash, offset button closure, applique shoulders, and detachable zippered sleeves (yup, we went there), this jacket is the answer to every sporty fall outfit. Plus, it’s Gucci. Need I say more? Yes, even you artist types get a denim jacket of your own! 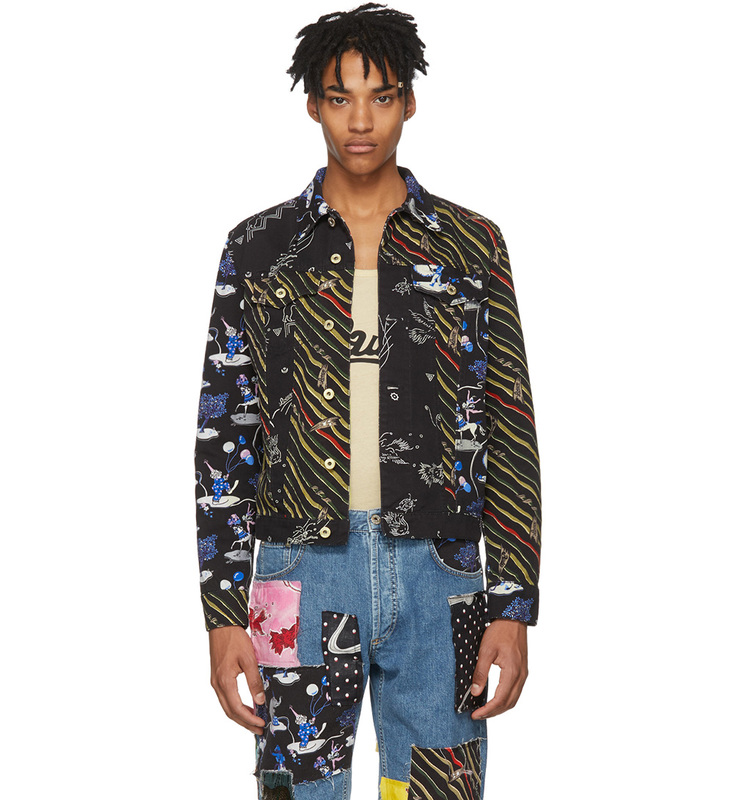 Calvin Klein’s 205W39NYC Denim Trucker Jacket was made in collaboration with Raf Simons and the Andy Warhol foundation. Subtle, clean, and chic, it has a leather panel on the back printed with Warhol’s iconic image of Sandra Brant from 1971. This is no mere jacket. It is art. 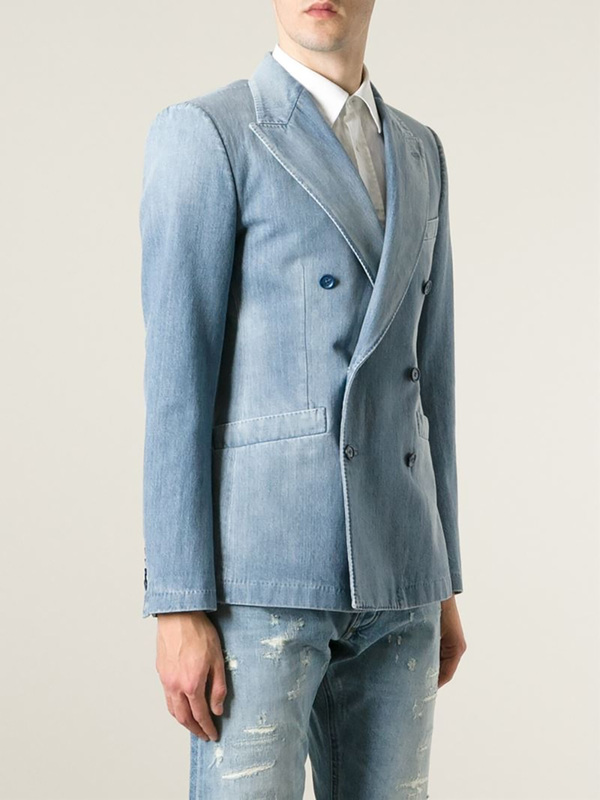 Wear your denim during business hours with this D & G blazer. Elegant, stylish, and incredulously comfortable, you can pull off this double-breasted jacket in the office and at happy hour. Missing your grungy teenage days? Well, they’re coming back! The distressed look is taking a new turn, and can be done in many ways, from holes to rips, patches to hems, and mismatched pockets to… oddly eye-catching teddy bear motifs? 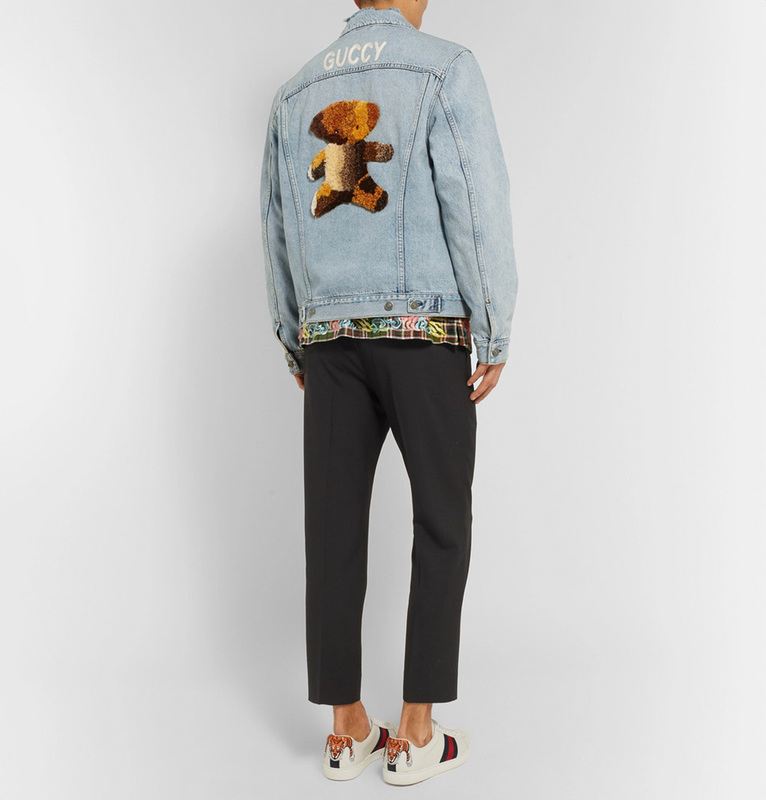 Opt for this Gucci appliquéd distressed denim jacket, which is next-level stylish, but also wearable. 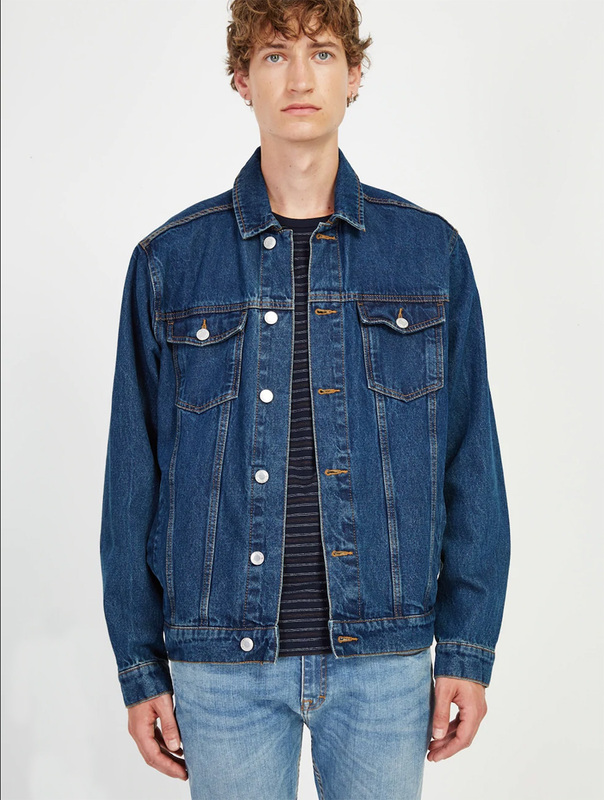 Love the denim jacket but can’t bring yourself to rock the baggy look? We got you. 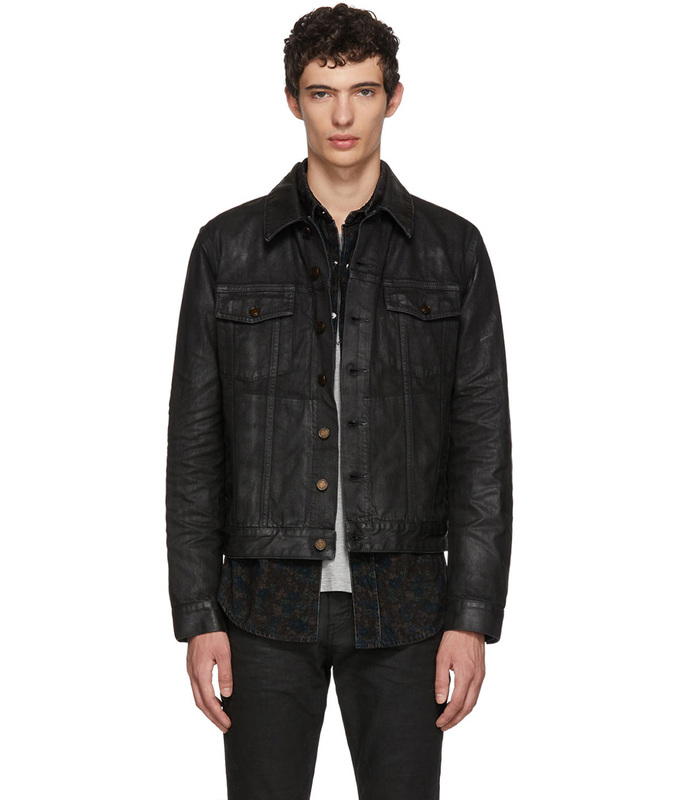 John Varvatos’ slim fit denim trucker jacket brings the classic style in fitted form. 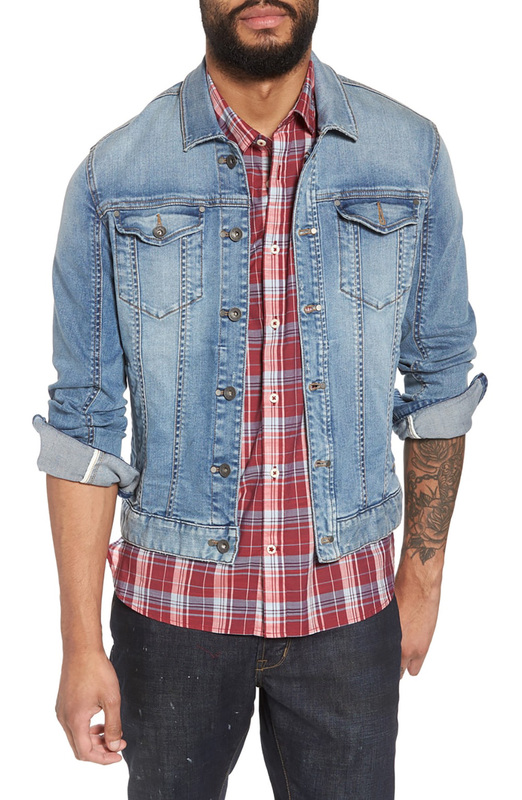 Featuring western pockets and rolled up sleeves, this jacket is rugged and easy-going, all in one cool AF package. Party all damn night in this colourful Loewe Black Paula’s Ibiza edition denim jacket. Its fun stripes in every colour evoke a sense of flashing lights, fun, and youthfulness. This limited edition number is sure to turn heads at whatever after-hours bar you wind up at. Fall weather calls for a variety of outerwear. One day it’s boiling, the next freezing. Prepare thyself with this cozy Frank And Oak denim jacket. Lined with sherpa throughout and made with 100 per cent organic cotton, it’s a vintage seasonal staple (minus the hunting part). Summer may be winding down, but fall can still get oppressively humid. 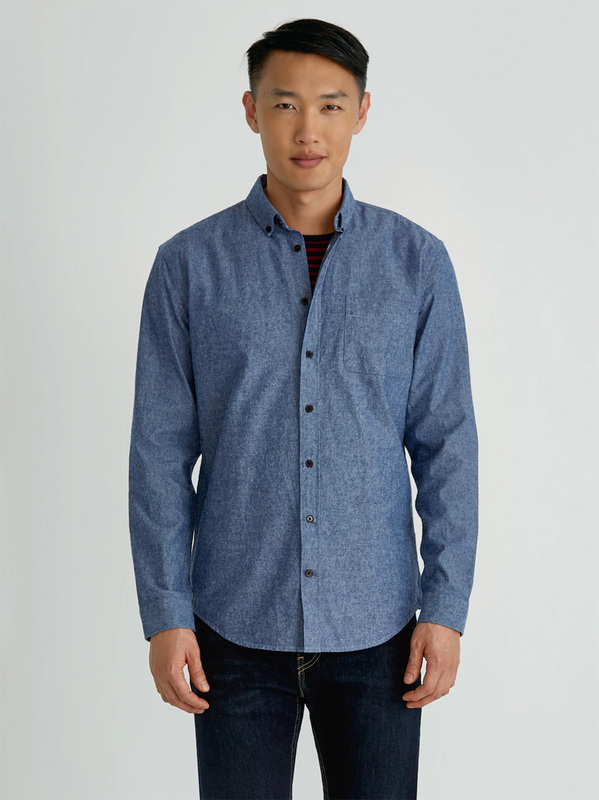 On such days, opt for a chambray shirt. A denim lookalike, chambray is lighter and more breathable, making it a hundred times more comfortable. And Frank And Oak has perfected the chambray shirt. With three-quarter sleeve potential, a short collar, and a slim fit, this shirt is as cool as they come.